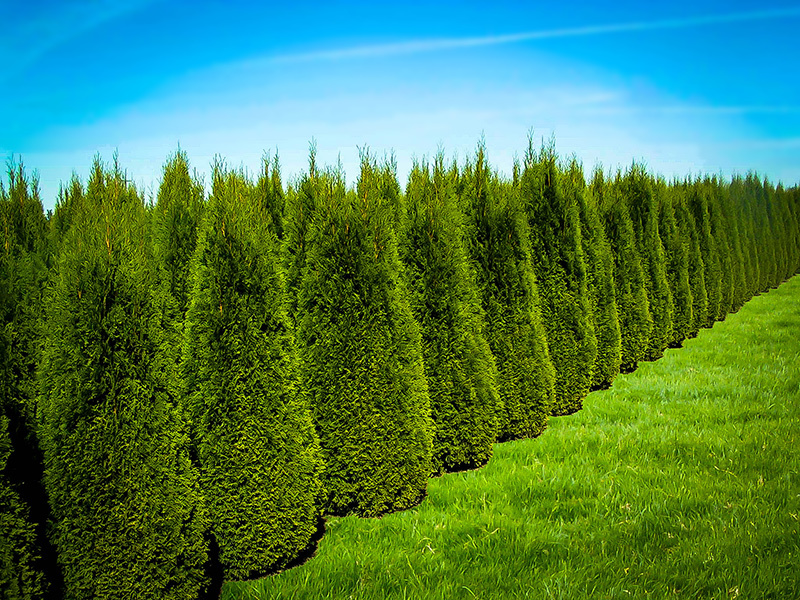 If you are looking for the perfect hedge plant for every purpose, Thuja Emerald Green is the winner. Always the perfect bright green – so healthy and vigorous you won’t believe it. Grows tight and dense that it won’t need trimming. Extremely hardy and adaptable to lots of soil conditions. Snow and ice just fall off without damaging your plant. One of our most popular privacy trees. This fast-growing, pest and disease resistant evergreen is the perfect choice for narrow areas and smaller gardens, growing to 12 feet tall in no time at all. This exception plant can also be used as a specimen in pots or dotted around your house and garden beds, making a perfect partner for your flowering plants. Emerald Green Thujas are hardy and adaptable to lots of soil conditions and will stay green and attractive with no browning or bare-spots from winter – unlike other inferior hedge plants. 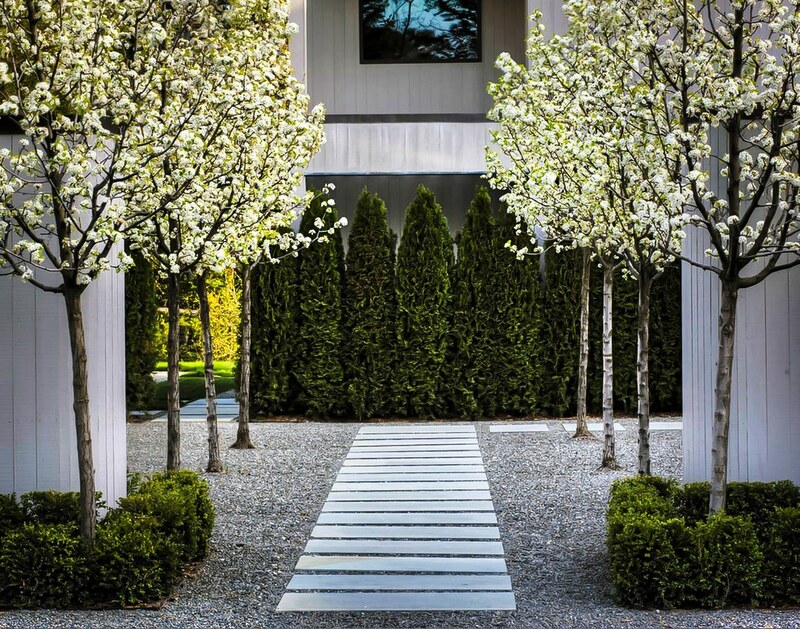 Hedges are essential components of almost every garden, but different locations call for different plants. You don’t want to choose something that will grow too large and if you have a small garden you certainly want some space left for other plants after putting in a privacy screen or hedge. Emerald Green Arborvitae is just the right plant for smaller spaces as its tall, narrow growth means it will never overwhelm your garden. Whatever your soil-type, water conditions, exposure or climate, this plant is easy to maintain and trouble-free. It will grow rapidly enough to make a dense hedge in a few years, but not so much that you are having to constantly clip it. Because it grows tall and narrow, even if left unclipped it will not fall apart or collapse under snow. Emerald Green Arborvitae will grow 1-2 feet per year when young, as long as you give it a sunny location, some fertilizer and water. As the trees mature they will slow in growth, but by then they will have become the hedge you wanted and will now need less clipping. 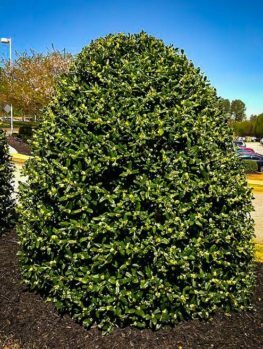 This is a hardy, disease-free evergreen that was selected particularly to make a dense, narrow upright plant that only needs clipping if you need a very narrow, flat, even hedge. It will grow into a great screen just left alone, so it is very low maintenance. It is drought tolerant and happy in any kind of soil. It is free of any significant pests and diseases. 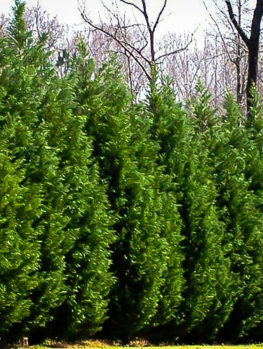 Some Thuja develop unsightly brown tips in winter, but Emerald Green Arborvitae will not do this, so it looks attractive all year round. The only pest is deer, but these are rarely found in the smaller urban or suburban gardens for which Thuja Emerald Green is best suited. Thuja Emerald Green is a selected form of the White Cedar or American Arborvitae, Thuja occidentalis. This plant grows wild throughout north-eastern America. It is called arborvitae because a tea made from the leaves is rich in vitamin C. The Native Americans taught the early settlers to drink this tea to avoid scurvy, which it did so well they called it the Tree of Life, which in Latin is arbor vitae. 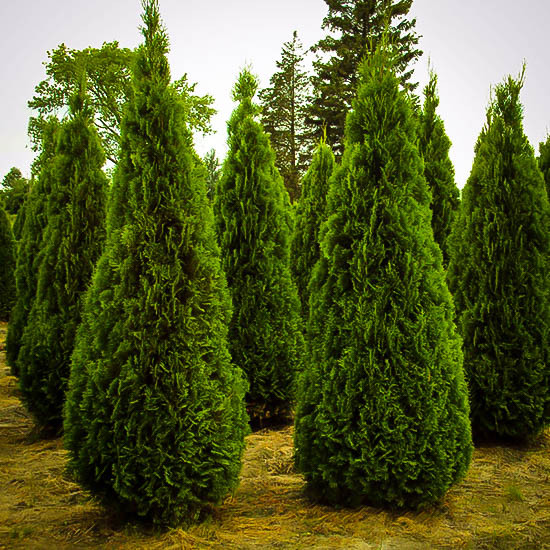 Planted as a specimen Thuja Emerald Green will make a handsome narrow column 12 feet tall and 3 feet across – the perfect accent in a bed of shrubs or on a small lawn. The foliage will persist right to the ground for many, many years and this tree will be an outstanding sight in your garden at all seasons. 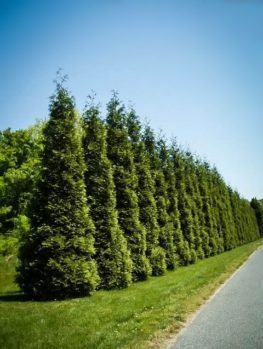 Emerald Green Thuja is hardy in Zones 2 to 7, making it a good choice for cold areas where other evergreens will not thrive. It will grow happily right across America except for the Deep South, southern Texas, Florida and the west coast. 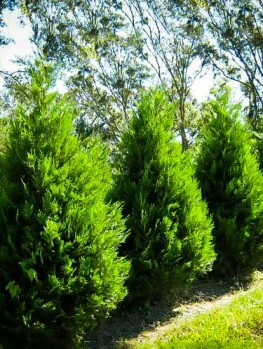 The Emerald Green Thuja is a special selection, so only this exact plant will have the right growth rate and qualities. It must be produced directly from trees of the correct origin. 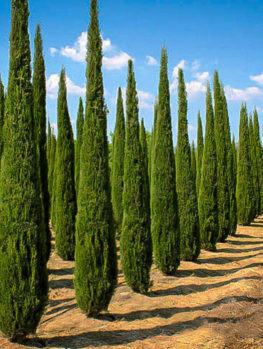 Our trees are grown the correct way, from branch cuttings of these special trees. 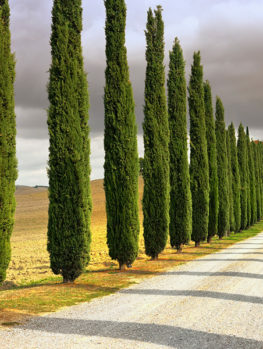 That way every tree is identical to the original so they will produce a very uniform effect when planted as a hedge. However these take longer to produce, so avoid cheaper, seedling trees that will only disappoint. For a hedge, plant 3 feet apart. For a thicker screen, plant in a double row 6 feet apart (but staggered) with the rows 3 feet apart. Dig a trench for the row and space the plants evenly along the trench. Put back most of the soil and firm down well. Add lots of water and when it has drained away put back the rest of the soil. Water your Thuja Emerald Green well every week during the first season, and after that you will only need to water during dry periods. Although Emerald Green Arborvitae prefers full-sun, it will be happy with as little as half a day of direct sunshine. It will grow in any kind of soil but in poor soil it is best to use slow-release hedge fertilizer each spring for the first few-years to get the dense growth you want. When young it needs plenty of water, but once established it is quite resistant to all but the most severe drought. 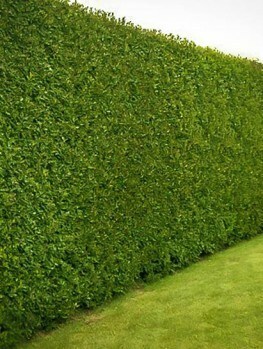 It can be trimmed at any time, but early fall is best, and because the growth rate is not too rapid, clipping once a year is probably all you will need, unless you want a very formal hedge, in which case you should clip again during early summer. 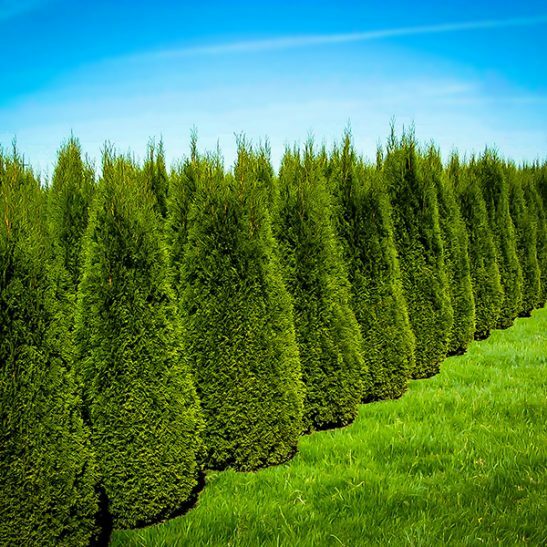 When making a hedge, always keep the top narrower than the bottom, so that the sun can reach right down and keep your Thuja Emerald Green lush right to the ground. If you live in an area with heavy snow it is best to keep the top rounded, rather than square, as this will shed the snow better.